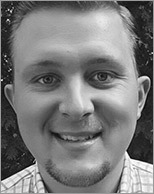 Kelly Goetsch is Chief Product Officer at commercetools where he oversees product management, development and delivery. He came to commercetools from Oracle, where he led management for their microservices initiatives. Kelly held senior-level business and go-to-market responsibilities for key Oracle cloud products representing nine+ figures of revenue for Oracle. Prior to Oracle, he was a senior architect at ATG (acquired by Oracle), where he was instrumental to 31 large-scale ATG implementations. In his last years at ATG, he oversaw all of Walmart's implementations of ATG around the world. He holds a bachelor's degree in entrepreneurship and a master's degree in management information systems, both from the University of Illinois at Chicago. He holds three patents, including one key to distributed computing. Kelly has expertise in commerce, microservices, and distributed computing, having spoken and published extensively on these topics. He is the author of the book on the intersection of commerce and cloud, E-Commerce in the Cloud: Bringing Elasticity to E-Commerce (O'Reilly, 2014). In this webcast, we'll cover: Synthetic Monitoring deep dive and best practices, Real User Monitoring deep dive and best practices. In this webcast you will learn tips up and down the stack to squeeze the last millisecond out of your response times.